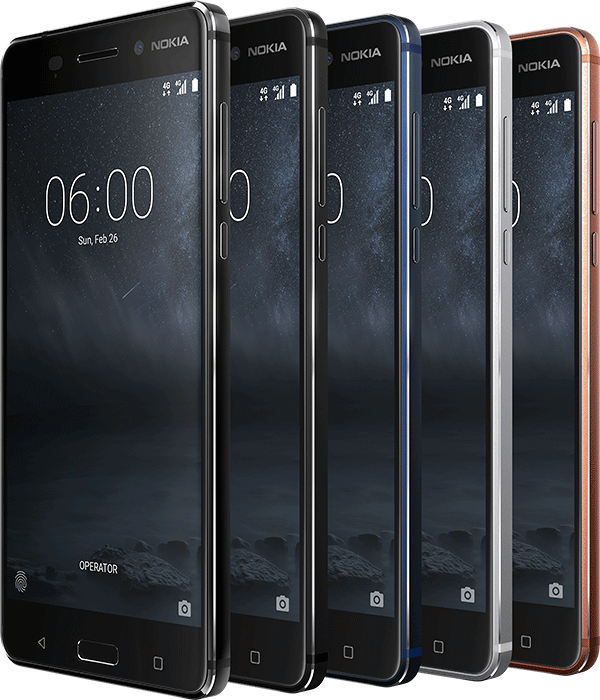 Nokia finally announced Nokia 3, Nokia 5 and Nokia 6 Android Smartphones in the Indian market. All the devices were first announced at MWC2017 with feature phone Nokia 3310 which is already available in India via offline stores. Lowest priced among all, The Nokia 3 is made of aluminum frame & polycarbonate back and 5-inch HD IPS LCD display at the front protected by Corning Gorilla Glass. The device comes with 8-megapixel Autofocus rear camera & 8-megapixel front camera with f/2.0 aperture. The smartphone is powered by MTK6737 Quad core processor with 2GB RAM and 16GB internal storage. Memory can be expanded further via microSD card up to 128GB. 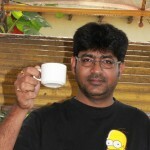 Nokia didn’t skip on sensors, it has all the basic sensors. Connectivity options include WiFi, Bluetooth, USB 2.0 and NFC. The smartphone packs 2630 mAh non-removable battery. The Nokia 3 will be available in various colors via offline stores from June 16th at a price of Rs.9499. 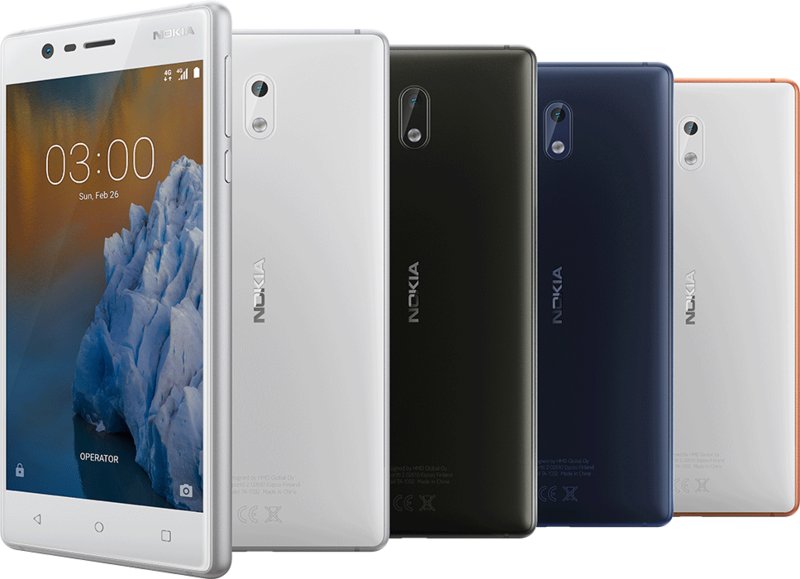 Nokia 5 features Full Metal body design with 5.2-inch HD IPS LCD display protected by Corning Gorilla Glass. It features 13-megapixel Autofocus rear camera (f/2.0) with PDAF and dual tone flash. There is 8-megapixel Autofocus Front Camera (f/2.0) for Selfie pics. Just like Nokia 3, the Nokia 5 also comes with just 16GB internal storage and 2GB RAM. Memory can be further expanded up to 128GB via MicroSD card slot. The device powered by Octa-core Snapdragon 430 processor. It has 3000 mAh non-removable battery. It will be available in various color options at offline stores from 7th July at a price of Rs.12899. Top variant among all, the Nokia 6 also comes with Octa-core Snapdragon 430 processor. Full Metal body design smartphone features 5.5-inch Full HD IPS LCD display, protected by Corning Gorilla Glass. It has 3GB RAM and 32GB onboard storage which can be expanded to 128GB via microSD card. 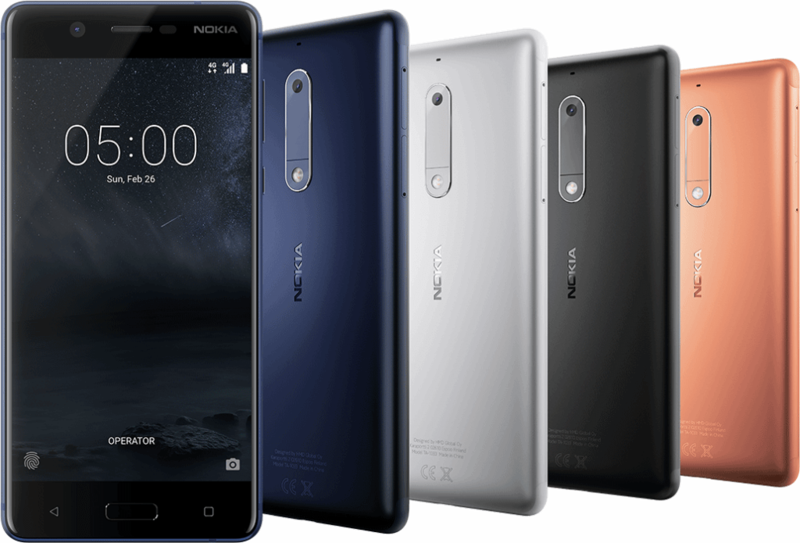 The Nokia 6 comes with 16-megapixel (f/2.0) Autofocus rear camera with PDAF, dual tone Flash, and 8-megapixel (f/2.0) Autofocus front camera. It also features dual speakers with Dolby Atmos technology (Smart amplifier – TFA9891). The Nokia 6 will be available exclusively on Amazon India from 14th July priced at Rs.14999.